It was the Saturday after Thanksgiving in 1994 and we went to the Jazz Explosion concert with Gerald Albright, Jonathan Butler, Will Downing, Rachelle Ferrell, and Bobby Lyle at the Regal Theatre in Chicago. Each performer was outstanding but the anticipation of hearing Rachelle live for the first time was overwhelming. She was incredible. Her voice is angelically crafted for song. She performed songs from her self-entitled release which was still burning up the charts. One of the highlights of the evening was when her and Will Downing lovingly performed “Nothing Has Ever Felt Like This” but the song that stopped my heart was “With Open Arms” which escalated from a sensual love ballad to a song giving thanks and praise for all the blessings we all have received. Hold on, where was the note? Where was her signature note after she finished the second verse. Don’t get me wrong, I was floating in the stratosphere already but I wanted to hear that exact note in the song. I thought to myself afterward, she was probably saving it for the late show after she had a chance to warm up. I understand that when you are a remarkable composer, musician, and have a vocal range of six octaves and some change, you have to take extra special care of your instrument. Well, the concert ended and as we were leaving, I told my friend Bridget that I should come back for the second show to hear her hit “my note.” Of course, she thought I was crazy but I rushed her back my house so she could pickup her car and I came back for the second show. There were only minor changes in the show but guess what? Rachelle hit and surpassed that note in “With Open Arms” and I had a big smile on my face. I guess good things come to those who wait. I hope that you enjoy this story as much as I have enjoyed sharing it. I remember first hearing Rachelle as the enchanting voice ad-libbing on George Duke’s song “No Rhyme, No Reason” from his Snapshot album in 1992. Next, I would hear her on the radio singing “‘Til You Come Back To Me” from her self-entitled release, Rachelle Ferrell. When I finally got the album, I played it constantly and loved every song for each was filled with a powerful message. Tracks included “I’m Special“, “Welcome To My Love“, “Waiting“, “I Know You Love Me“, “Sentimental“, “With Open Arms” and “Peace on Earth.” Her duet with Will Downing on “Nothing Has Ever Felt Like This” just made you want to go out and find someone to slow dance with. All of her albums are great but they do not compare to her live performances. You are definitely in for a treat. We can expect new music from Rachelle later this year and I will be going see here in Oakland this weekend. Stay tuned!!! I dedicate this story to my favorite aunt who turns 88 years old today and also, to my friend, Bridget, who celebrates her birthday tomorrow. Have a happy and safe holiday weekend and as always, enjoy your music. It has brought me great joy to take you back in time every Friday for the past 6 months. The Flashback Friday entries will be now be posted bi-weekly instead weekly which will give me some time to catch on all the great new music that is coming your way. Thanks for your continued support as we travel together on this musical journey. This entry was posted on Friday, August 29th, 2003 at 6:24 am. It is filed under Flashback Friday and tagged with Flashback Friday, Rachelle Ferrell. You can follow any responses to this entry through the RSS 2.0 feed. Love, love, love Rachelle Ferrell. This album is wonderful from beginning to end. First time I saw her perform was at a tiny jazz club in Redondo Beach, CA. A friend who did jazz promotions at the time and went to Berklee with Rachelle took me to the show and afterwards we all hung out a bit and vibed. Not only can this woman SANG, but she’s an incredible person as well. By the way, I got you one of the posters for the South Bay Jazz Festival. Tell me where to send it and I’ll drop it in the mail. I love Rachelle, too. I saw her in concert with Will, Jonathan and Bobby Lyle. It was a good time. Her voice is tremendous. I’ll never forget the release of her first album and seeing the video on BET. I haven’t listened to it in a long time so I’ll have to go pull it out.. right along with my Angela Bofill: Definitive Collection CD and Phyllis Hyman as well. This sistah can sannnnnng! Beautiful, beautiful voice. I love Rachelle. I have grabbed all of her albums, and they stay in rotation on the home stereo. wait, i missed this. i am just getting back into the groove of things since the holiday. James, this is an excellent flash back. although i admit to loving FIRST INSTRUMENT more. most people don’t even know about first instrument. my only gripe with rachelle is that everytime i see her perform she is complaining about how the music industry screwed her over. nevertheless j-notes.com shines for this selection! Rachelle is a dear, dear soul-singer, in the very essence of the word. She’s called to be a leader and innovator and I look forward with increase anticipation to the work that she and her brother, Russ Barnes, will produce under their own label, Evolutionary Music Group, Inc. Does anyone know where I can find her tour dates for 2004? 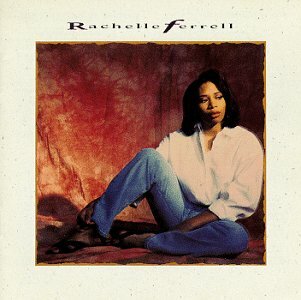 Anybody know of a chart available of Rachelle Ferrell’s “Peace On Earth”?